Take a trip to Door County, WI were kayaking and stand up paddle boarding is a must! Bay Shore Outfitters has a variety of kayaking trips for families, beginners, and advanced kayakers. Take the family for a coastal adventure which takes you along popular destinations in Door County or take the kayak out to sea in this advanced adventure. Interested in a unique and fast growing water activity? 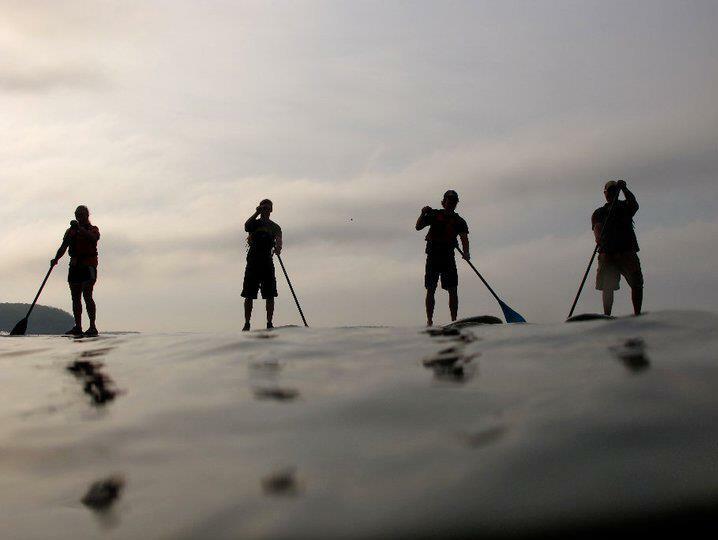 Try using a stand up paddeboard (SUP). You can try this activity individually or attend their SUP school. Check out this vacation home in Sister Bay or look into in the nearby community of Fish Creek vacation properties. Hawk’s Nest Canoe Outfitters in the Northernwoods can accommodate large and small groups. Take out the canoes or kayaks or cruise down the rivers on rafts or tubes. Bring a cooler along and enjoy your time down the river. Hawk’s Nest has three convenient locations in northern WI – Eagle River | Manitowish Waters | Lake Tomahawk. Bayfield, Wisconsin is a great vacation location for those looking for a peaceful getaway. Trek & Trail has been in the kayaking business for 20 years now. Take an adventure though the Apostle Islands in a variety trips. 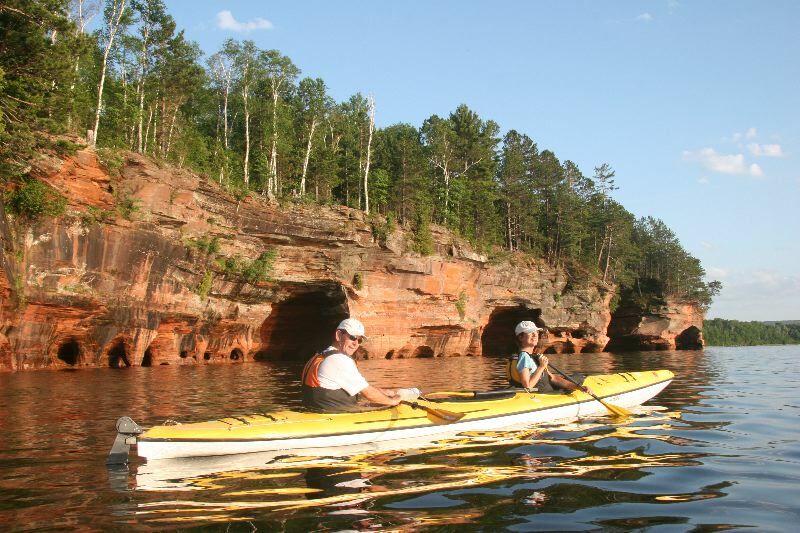 Explore Lake Superior, take a trip kayaking across sea over to Basswood Island, or explore the sea caves. The Sea Cave day trip includes a 6.5 mile journey with one stop for lunch on an isolated beach. There are 13 different vacation cottages in Bayfield, WI. This entry was posted in What to do in Wisconsin and tagged canoe, kayaking, travel, wisconsin. Bookmark the permalink.